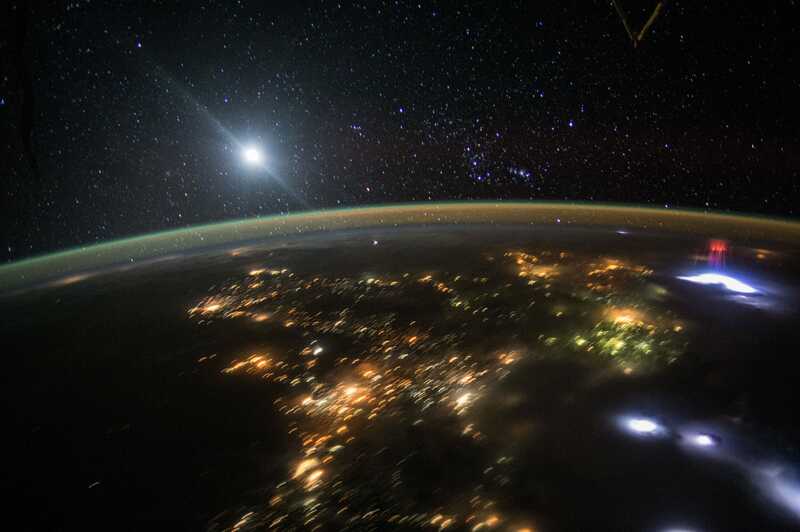 An astronaut took a beautiful photo of Earth at night, below, while flying over Central America in the International Space Station. The moon is in the upper left, and a massive thunderstorm off to the right. 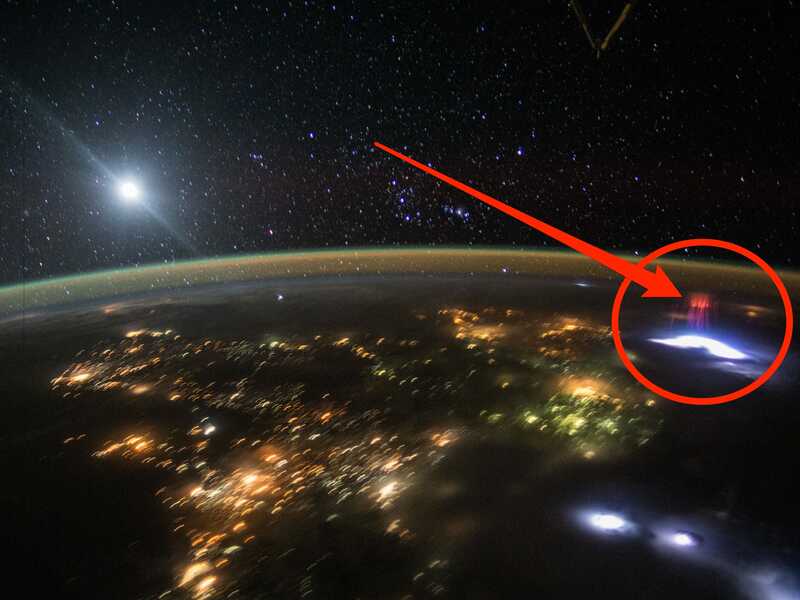 But there’s something weird lurking in this image, captured on August 10. Look to the right, just above the thunderstorm. Below is a closer look at this oddity. This one, like the handful of others astronauts have captured, probably rises up 50 miles and stretches a few miles wide. 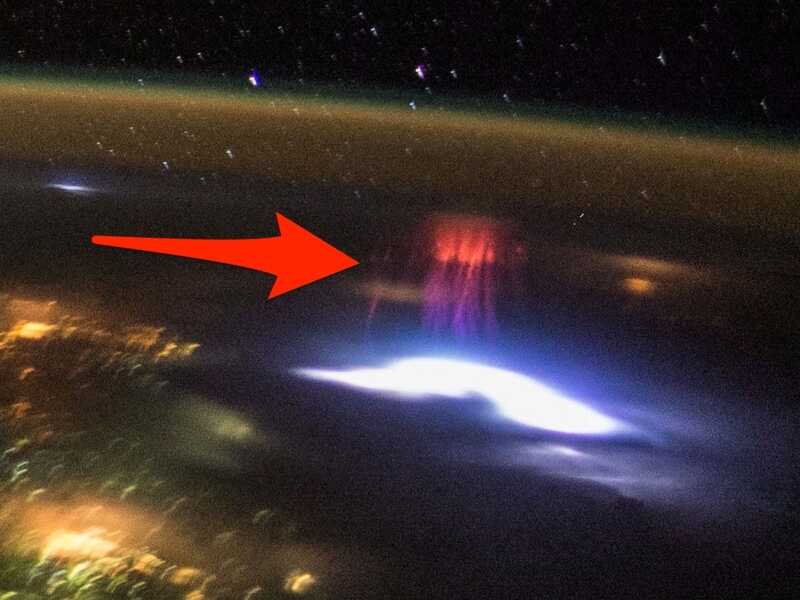 Although they are very common, sprites are rarely photographed. A thunderstorm produces a sprite once or twice a minute yet each flash lasts only a few milliseconds. They’re very hard to see from the ground, too — typically because a big, fat, scary thunderstorm is in the way. But they can be caught by Earth-based photographers. Jason Ahrns gets incredible shots of them by flying a small aircraft around thunderstorms over Nebraska and other central US states. 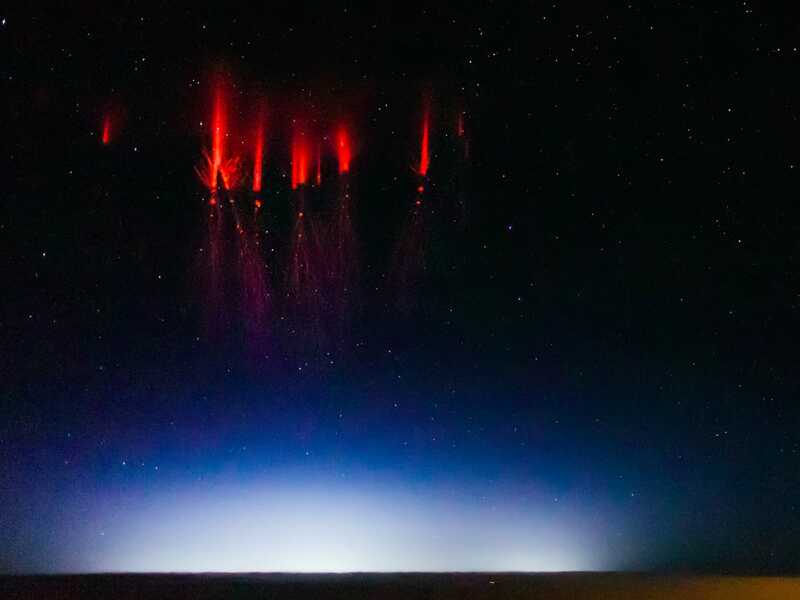 The spark turns red because of nitrogen floating high in Earth’s atmosphere. Something like a fluorescent tube, the gas gets excited by the burst of electricity and emits a red glow.